First Listen: PJ Harvey, 'Let England Shake' PJ Harvey's eighth album finds the iconoclastic singer turning her gaze outward, toward the political situation in her homeland of England. Hear Let England Shake in its entirety until its release on Feb. 15. 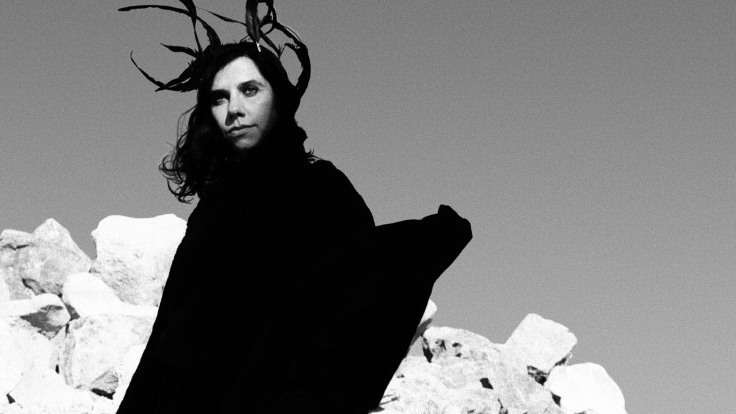 PJ Harvey's new album, Let England Shake will be released in the U.S. on Feb. 15. 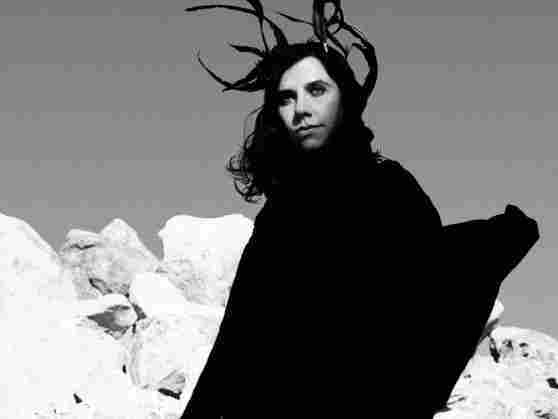 PJ Harvey's eighth album, out on Feb. 15, finds the singer turning her gaze outward, toward the political situation in her homeland of England. The topics are as bleak and violent as they were on her most lacerating work, but this time the subjects are soldiers falling in battle ("like lumps of meat") and landscapes that have been torn up, both physically and spiritually. Much of Let England Shake feels like an elegy for not just her homeland, but also the entire world; the bitterness behind the title of "This Glorious Land" is underlined by words like, "Our lands are plowed by tanks and feet, feet marching." Harvey composed the music after writing the lyrics — a process that took her about a year and a half — and the dreamy nature of many of these songs directly contrasts the brutality within. The autoharp is the defining instrument here, and its slightly tinny tone creates an atmosphere that's not of this world. An early version of the title track, which she performed on a BBC talk show in front of former U.K. Prime Minister Gordon Brown, had her winding her high-pitched singing and autoharp around a sample of the standard "Istanbul (Not Constantinople)." The version on the album dispenses with that sample, but other songs here do directly incorporate snatches of others' work — a loop of Niney the Observer's "Blood and Fire" here, a borrowed line from Eddie Cochran's "Summertime Blues" there — and the way they're used only heightens the singularity of Harvey's vision, which has been the one thing unifying the disparate albums she's released in her remarkable 20-year career.